We strongly urge state lawmakers to adopt this targeted, proven proposal to help close persistent gaps between student populations. A recent Seattle Times Education Lab article, “Racial equity in Seattle schools has a long, frustrating history — and it’s getting worse,” shines a bright light on decades of well-meaning but unsuccessful attempts to close opportunity and achievement gaps between white students and students of color in our public school system. Washington is ranked 40th in the country for high school graduation rates and at least 17 percent of our high school students miss 18 days or more of school each year, second worst in the nation. Beware of anyone who claims to have a uniform cure for the persistent failure of our state system. Our flagging ability to keep kids in class and graduating is not specific to one group of children or one neighborhood, nor will it be resolved by one magic formula or the next education trend du jour. While others debate funding needed or a program acronym best-suited to sell the latest plan, we urge support for and implementation of common-sense programs that are proven to be effective in addressing the myriad root causes that lead to disparate outcomes among students. Eric Pettigrew is a state representative from the 37th District in South Seattle. Libuse Binder is executive director for Stand for Children Washington, an education policy nonprofit. 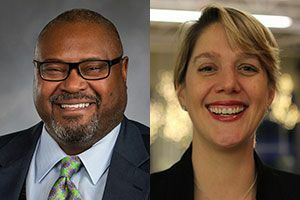 The state Senate is considering legislation that specifically addresses opportunity and achievement gaps by adopting statewide programs based on what is already working at the district level. House Bill 2868 (and its Senate companion, 6209) creates an early warning system to help identify students who need support and are at risk of not finishing high school. Certain indicators are, unsurprisingly, highly predictive of student failure — attendance, bad behavior and failing grades, to name a few — and would trigger pro-active support specifically crafted to address a student’s needs. The statewide program that would be created by passage of HB 2868/SB 6209 is modeled after success in the Spokane school district, which has seen a steady growth in graduation rates since its program’s implementation in 2012, reaching 86 percent in 2017 and surpassing both the state and national averages. This legislation, using funding created by last year’s budget, would also automatically enroll every qualified high school student into advanced courses. It begs the question, aren’t qualified students already enrolled in advanced coursework? Nope. 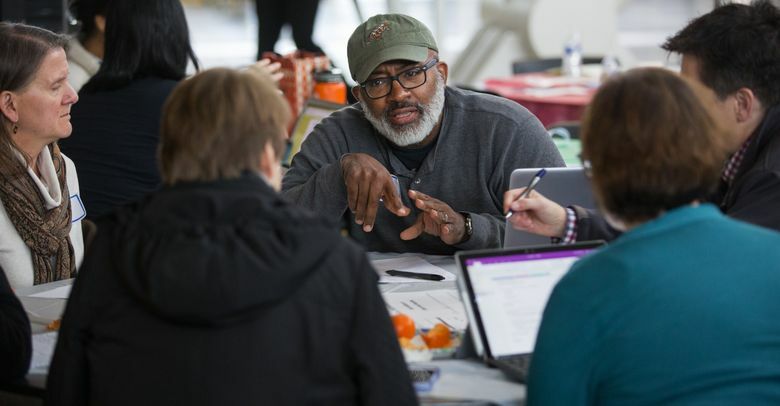 And not surprisingly, black, Latino, American Indian and Pacific Islanders, who make up one-third of our state student population, comprise a tiny fraction of enrollment in advanced courses. To correct this imbalance, we must ensure enrollment is based on the merit of every kid, not on their economic background, language spoken at home or neighborhood. The legislation will also waive advanced course test fees for qualifying low-income students, lowering a clear financial barrier to attaining college-credit (and tuition costs) while in high school. The road to equity in our public schools will be paved with bricks as diverse as the kids and the communities where those schools serve. And service to kids and their futures should be the single destination of every path in our state education system, undeterred by one-way formulas or one-size-fits-all plans. That’s why we strongly urge state lawmakers to adopt this targeted, proven proposal to help close persistent gaps between student populations. This challenge was not created overnight, but by passing HB 2868/SB 6209 we can take incremental steps and create meaningful solutions for students’ futures in Washington.